Remember how we were taught to spell when we were students? Many of us were simply handed a list of words and told to write each word five times. We then had our Friday spelling test, after which we may have forgotten those very words. 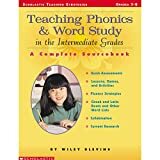 Of course, we were also taught some reading and spelling rules such as, “When two vowels go walking, the first one does the talking.” But did you know that this rule, like many others that we were taught, holds true less than fifty percent of the time? (Clymer, 1996) Not only do these precepts lack reliability, but the teaching of rules is not really the best way to help our students learn. We learn best by active involvement and practice with the task at hand, which allow us to see word and letter patterns for ourselves. Research suggests that the brain is a pattern detector, rather than an applier of rules (Cunningham, 2004). If our brains are indeed “pattern detectors,” then we should provide our students with plenty of opportunity to investigate and organize those patterns. Letters and their corresponding sounds. Patterns of how words are spelled, such as word families. How parts of words often will give hints to the meaning of a word, as well as its spelling or pronunciation. My students love working with words, and frequently ask for more “word games.” Fortunately, the Internet is a wonderful source of excellent activities that build skills in spelling, vocabulary, and word recognition. See our Word Study Activities that will help your students have fun as they learn to read, write, and spell. Clymer, T. (1996). The utility of phonic generalizations in the primary grades. The Reading Teacher, 50(3), pp.182-187.